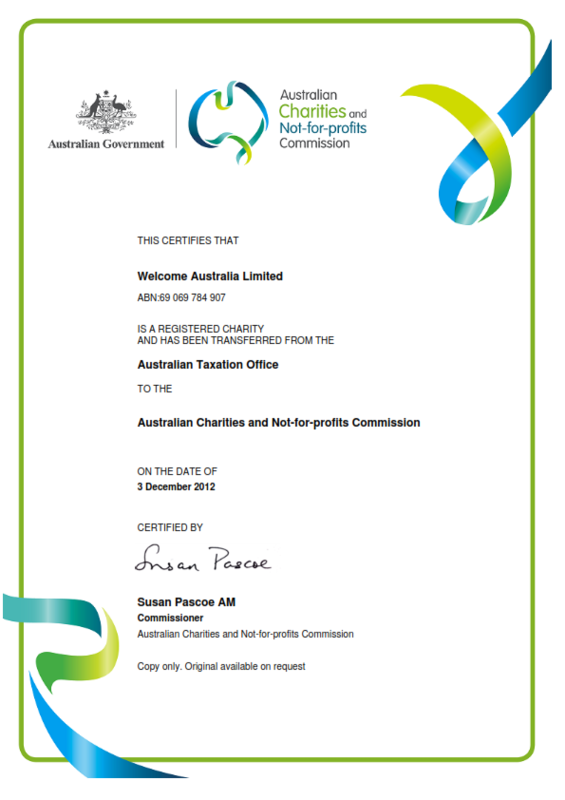 Welcome Australia, is a registered Charity with ACNC and operates independently from any Government Funding. Est. 1995. Welcome Australia invites those who may be drawn to a particular Service, Program or Project or to our stance on Human Rights and Social Justice issues who wish to either support, partake or partner with us to please contact us. Thank you. Sponsorships from businesses and corporations are truly appreciated in order for our work to expand and develop to become a reality throughout Australia. Welcome Australia, has adopted the Mahatma Gandhi principal of achieving peaceful outcomes. This begins with each individual firstly becoming the change themselves that they wish to see in their life, in their community, in their country and in the world. "In life, nothing can really change unless we ourselves are prepared to make an effort to change and function from within our own true inner state of love". Welcome Australia recognises the urgency for a new expansive awareness to be employed in the process of Australia's policy formulation in order to bring about stability, empathy, honesty and justice in every aspect of Australian life. Our goal is to create and make available to everyone throughout Australia our services, programs and projects that their lives may become uplifted, healthy, very happy and financially secure.